Badgery's Creek - What does it mean for Canberra? This morning, Prime Minister Malcolm Turnbull is expected to sign off on construction of Sydney’s second commercial airport. Some 30 years in the making, The Western Sydney Airport at Badgery’s Creek has been an on-again-off-again project that was intended to mitigate congestion at Port Botany… but only after navigating a path through the machinations of state and federal politics. The new airport has the potential to be one of Australia’s largest infrastructure projects for the next 30 years. For this reason, investors will be looking keenly at the opportunities and timelines associated with the development. The initial stage is expected to take eight years to build at a cost of around $4 billion. The impact of this announcement for Canberra’s airport is certainly interesting. The immediate reaction is that moving ahead on Badgery’s would stifle the plans of Canberra Airport. However, CEO, Stephen Byron, who, at various stages, has proposed Canberra as a potential major second airport for the region, sees things differently. “Today’s announcement fits in with all the planning we have done for Canberra Airport over the coming decades,” said Mr Byron. “When both the Labor and Liberal parties – at state and federal level – were against a second airport in Sydney, we positioned ourselves to absorb some of that capacity. Another major piece of infrastructure that has remained on the shelf for a similar amount of time is a high-speed rail link down the east coast of Australia – including a spur to Canberra. Mr Byron considers this a separate project that could have great benefits for the region. 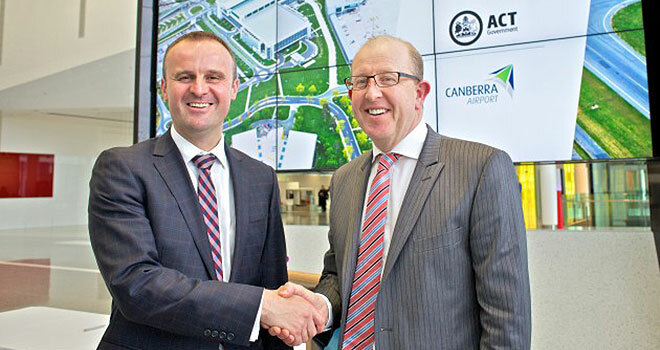 Canberra Airport, in its masterplan, has predicted up to eight million passengers by 2030. By 2050, the Badgery’s Creek facility is expected to take around 80 million passengers – which is twice the current passenger movements of Sydney Airport.